42 elements from a database in a fun online IT learning game. 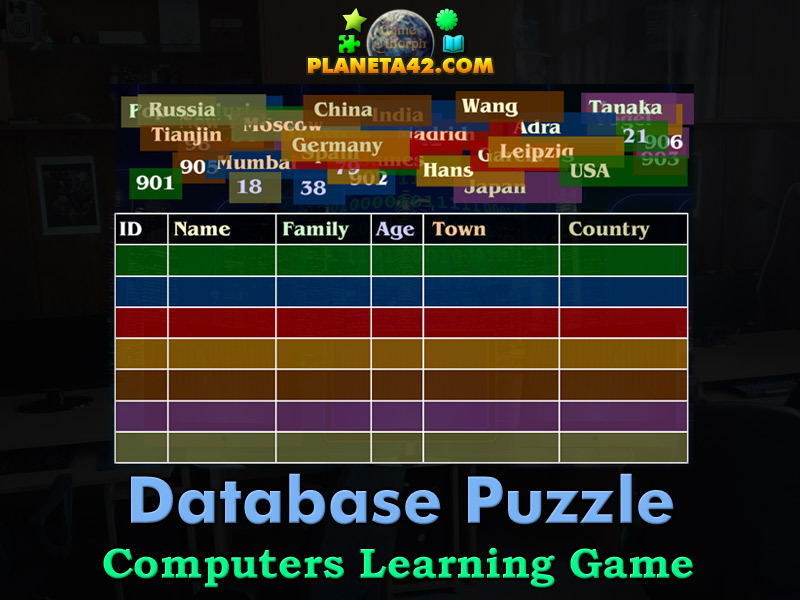 "Database Puzzle" is a free online knowledge level game to explore and study basic database structure and properties. Minute to win it game. Computer Technology Class for desktop computers, laptops and tablets. Place the database elements in the correct table. IT learning game, suitable for online classes and interactive lessons. Free online educational game. Lesson 1 for 10 grade clasroom game. How to play Database Puzzle. 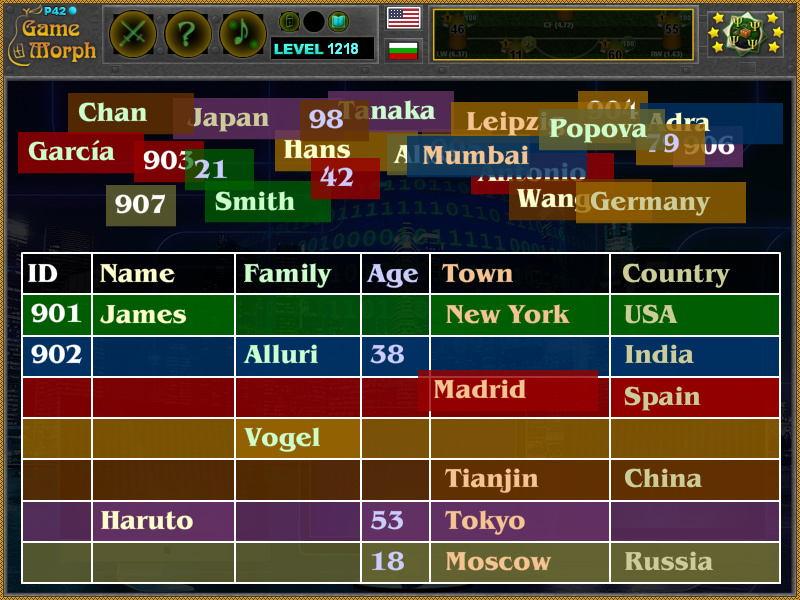 The game will generate 42 data elements with a random position at the top of the screen. Every element may fit in one position in the database table at the center of the screen. Drag and drop the elements on the correct table position. Sort all 42 element pieces to win the game. Know a simple database table structure and get +1 Knowledge Level. A database is an organized collection of data, stored and accessed electronically. Database designers typically organize the data to model aspects of reality in a way that supports processes requiring information. The simpliest way to understand what is a database, is to represent it in a table. Having all the information, separated by some sort of label or key, gives the ability to sort the information by these keys, apply filters or address specific data. All database softwares are different, but they all have a way to represent the data as a table. For where databases are used, we're playing the next game. Labels: Games about Computers , Classroom Games , Puzzles , CS Games , Education Games , Computer Science Games.